Does HWMonitor say your CPU/APU temp is 70C when idling but your CPU socket feels cool to the touch? Is Core Temp only reading 10C but it's not possible because your room is 28C? The reason is that these and other 3rd party programs are not interpreting the AMD TCTL signal correctly, although they seem to work fine for Intel CPUs. 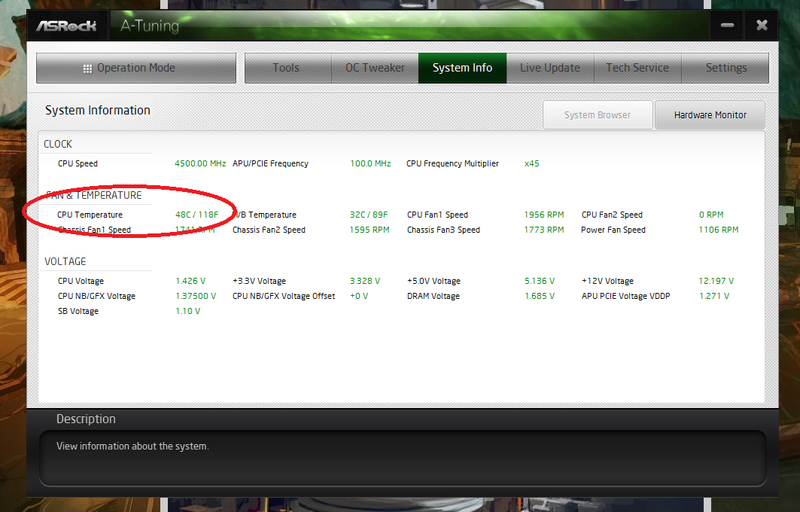 The first thing to know is that recent AMD CPUs and APUs have two indicators involving temperature. One is CPU socket temperature. Socket temperature is a real temperature of what your motherboard sees and reports in your BIOS and motherboard utility software (Easytune, A tuning, MSI Command Center, ect). Socket temperature is a great indication of your idle CPU temperature, but it is much less accurate during heavy loads. maximum operating temperature of the processor." -AMD. Further information can be found in the BIOS and Kernal Developer's Guide This temperature is based off of precise calculations that are very accurate during heavy loads. This is what you should be concerned with while stress testing your CPU. This is also the signal that is most often erroneously interpretted by 3rd party programs like HWMonitor, ect. 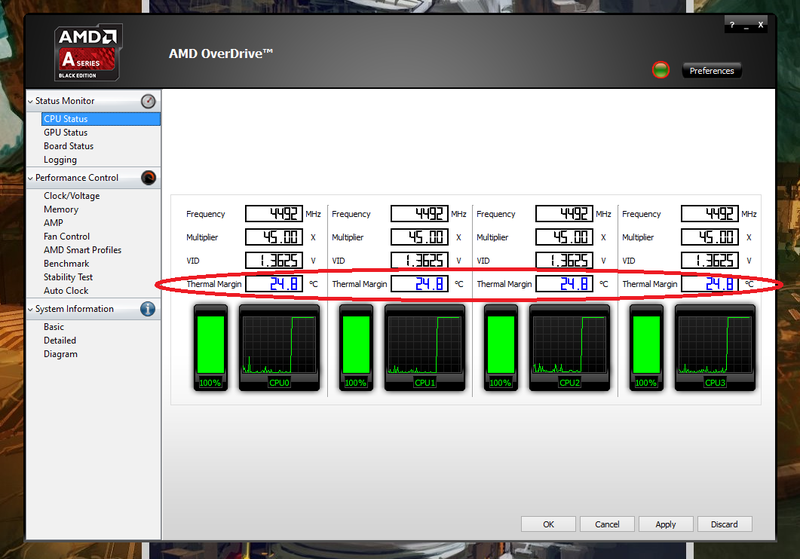 Use AMD Overdrive to measure thermal margin. It is perfectly safe to operate in the full envelope of thermal margin. When thermal margin runs out, your CPU/APU will throttle to a lower power state until back in the thermal margin. 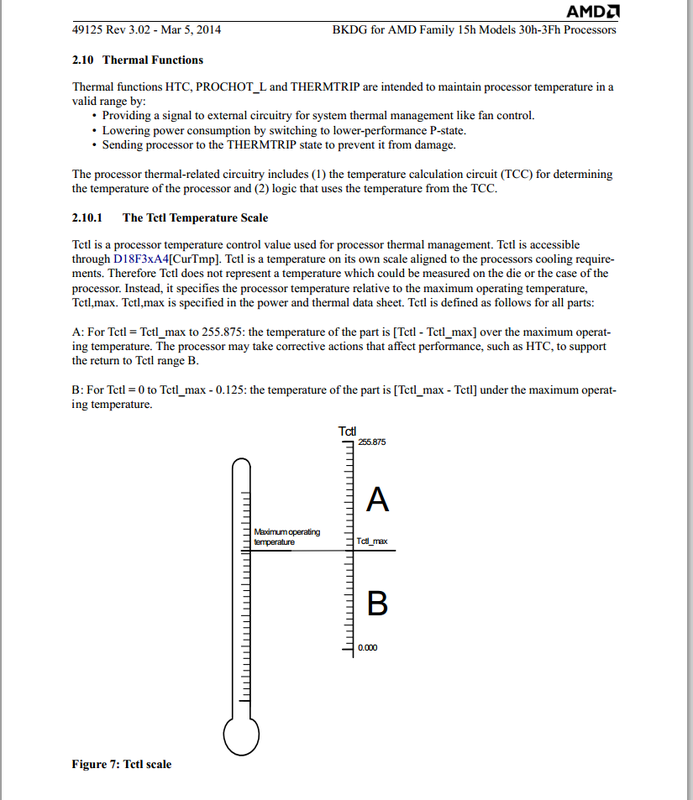 It's easy to test this function to verify that the thermal trip does indeed work according to the calculation. 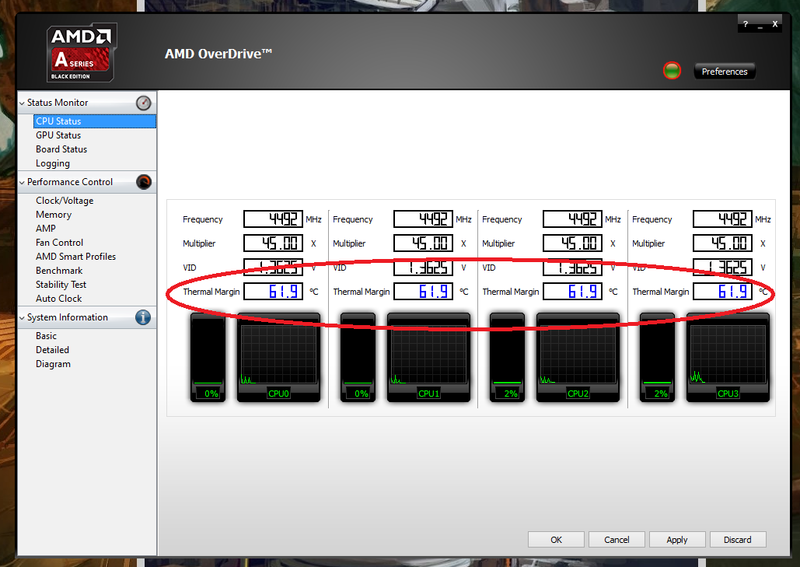 Notice how Thermal Margin is large at idle and shrinks during load. 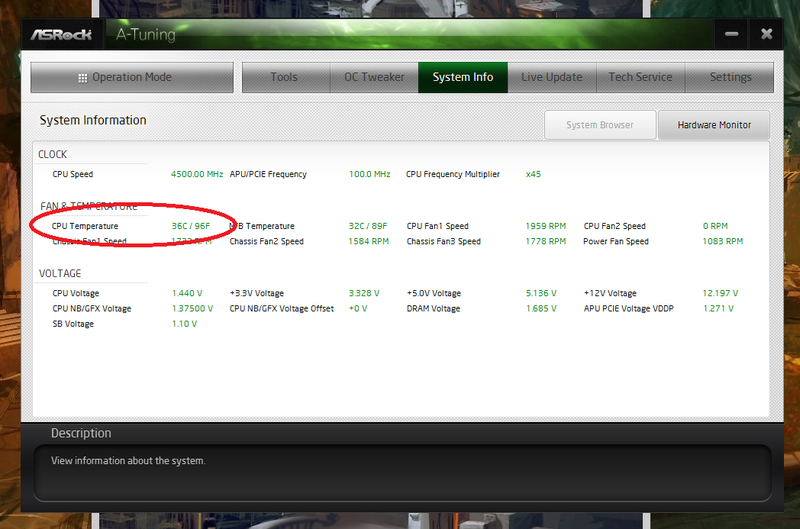 Now you know how to properly monitor your temperatures on your new AMD CPU/APU.